Getting tattoos is not a new practice, on the contrary, it is one that has to do with cultural traditions; the first tattoos were made by indigenous tribes in order to decorate their warriors, in order to impress and scare enemies, or in order to show social rank. This practice only reached Western shores when colonialism started to expand and sailors would come home with tattoos made by the tribes they met on their travels. Then, for a very long time, it was just the sailors and criminals who wore tattoos, and that is why the practice was considered savage and meant only for those of low birth. In the past few decades, the perspective on tattoos has changed wholly, and today the Western world sees tattoos just like those tribes did: a social and cultural manifestation that isn’t related just to violence and crime, but meant to express one’s preferences, lifestyle and cultural knowledge even. Nevertheless, it is still men who get tattoos most often, which is why we wanted to give you a few tips on how to choose masculine tattoos. Although there are numerous procedures for tattoo removal, it is still better to make sure you went with the right design and that you chose something which you will be comfortable with for the rest of your life. Moreover, if you want to get a good tattoo, never make compromises; technique, ink and other materials are extremely important, so only go to professional saloons which have all the authorizations and sanitary conditions, and whose employees are true tattoo artists. Getting your tattoo made by a tattoo artist can also mean that you could get a unique tattoo design, a real piece of art on your skin. 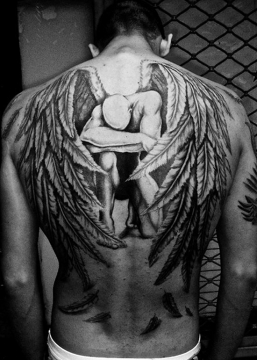 As for trends in recent years, they are many, so there are plenty models of masculine tattoos to choose from. One of the most popular themes in masculine tattoos is the fantastical, or the mythical; inking strange creatures on the skin, such as aliens, fairies, wizards, or mythical animals can be a great choice for those who want to feel empowered. Angel tattoos for man is another choice that many opt for. 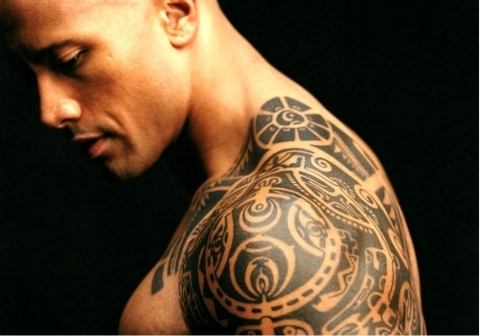 Another trend is getting tribal-inspired tattoos; a good example are Maori tattoos, which traditionally cover a large part of the body, or weird parts such as the face, the nose, the knee and so on. Sleeve tattoos are particularly popular among men, and they go incredibly well with these Maori elements. 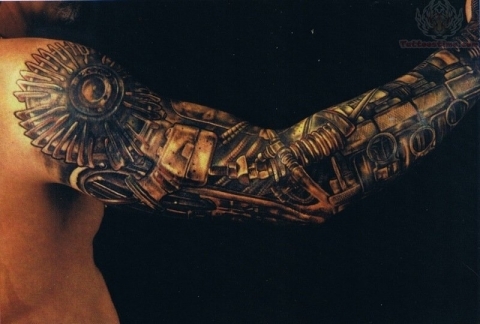 Robotics and mechanics are other two fields which men seem to be keen on, and especially the idea of a man-machine. Certain tattoo artists can make their tattoos look so realistic nowadays, and play with perspectives that the body modifications actually look real. For example, blending the skin on your hand with wires, cables, cogs and other mechanical elements can look really great, as you can see in one of the pictures here. So the next time you’re looking for a tattoo, keep in mind what we’ve just told you and your choices will become much better.